This is my first review posted here so be gentle with me! 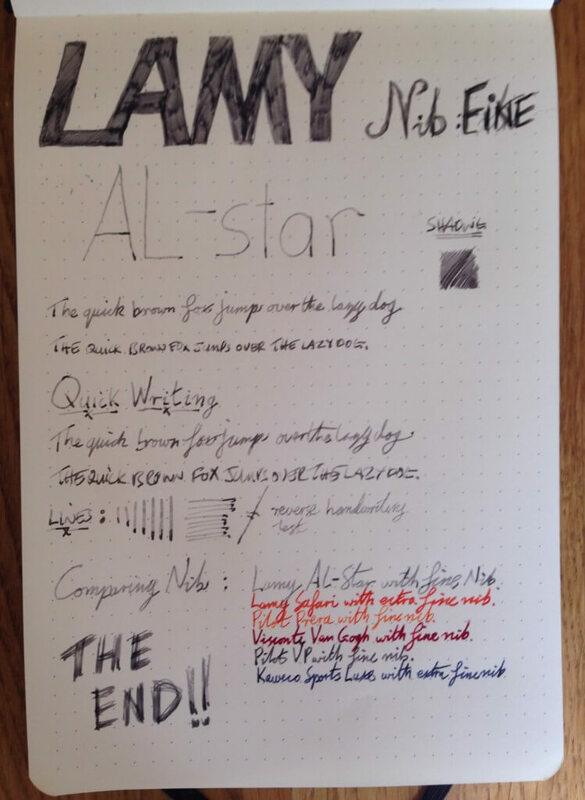 Even though the Lamy AL-Star may look the exact same as the Lamy Safari there is one pretty big difference and that is to do with the material it is made from. The Lamy Safari is made from a plastic material whereas the AL-Star is made from aluminium that is then coated with a blue green lacquer. This makes the AL-Star a durable pen. The barrel has a little ink window which helps with seeing how much ink you have left and there is the Lamy logo stamped at the very bottom on one side. A nice feature of the barrel design is that it isn’t a complete circle. There are two flat sides opposite each other which means it doesn’t roll when set down on a table. The grip section is a smoked transparent plastic that looks pretty cool when it is filling up with ink. The grip section is comfortable to hold and even though it is a smooth plastic, it doesn’t feel slippery to hold at all. Posting the cap for the AL-Star pen is very straight forward but does post a tad bit too tight at times. This can cause a bit of work getting the cap off the bottom of the pen. Capping it is just as straight forward and produces a strangely satisfying click sound. Either capped or posted it feels very secure. The chrome clip is strong with a good spring to it. It would keep the pen secured well. With the cap – 14cm. Without the cap – 13cm. With the cap posted – 16.7cm. You can use either the standard Lamy cartridges or purchase a Lamy Z24 converter. As I have an ink problem I have been using the converter with mine and have it filled with one of my current favourites, Mont Blanc Oyster Grey. 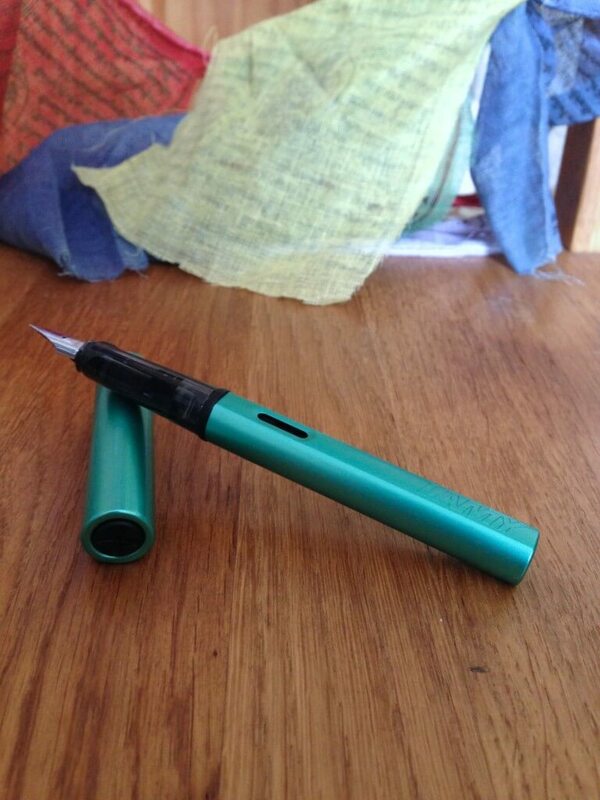 I have the fine nib which has been writing very smoothly. This has always been one area of the Lamy range that has always impressed me. The nib and feed work really well together. During my time using the AL-Star, it has not skipped a beat. It writes consistently well. If I did have to knock the Lamy range it would be due to the fact the nibs are european nibs. By that, I mean they produce a wider line when compared to their Japanese counterparts. A fine nib in the Lamy range would be like the equivalent of a medium Japanese nib. 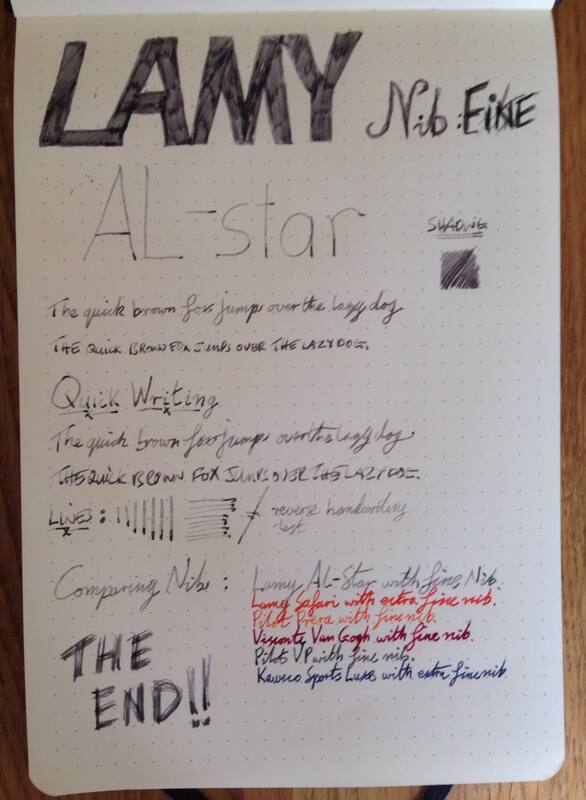 The Lamy Safari is £13.95 whereas the AL-Star is £20.95. 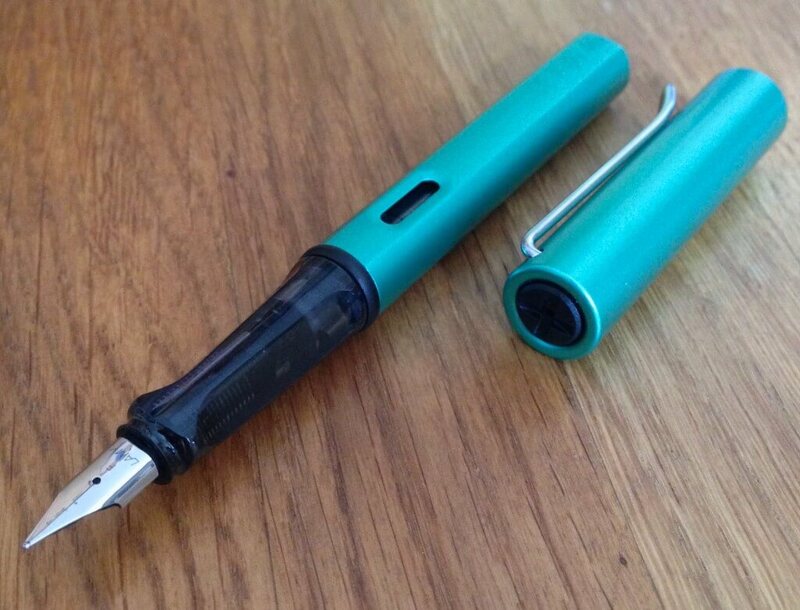 When Lamy released this bluegreen I wasn’t really sure about it but now I have one, I have been more than impressed with it and it does feel like a step up from the Safari. I think this would be a great everyday carry and would be great for students due to its writing performance and durability. 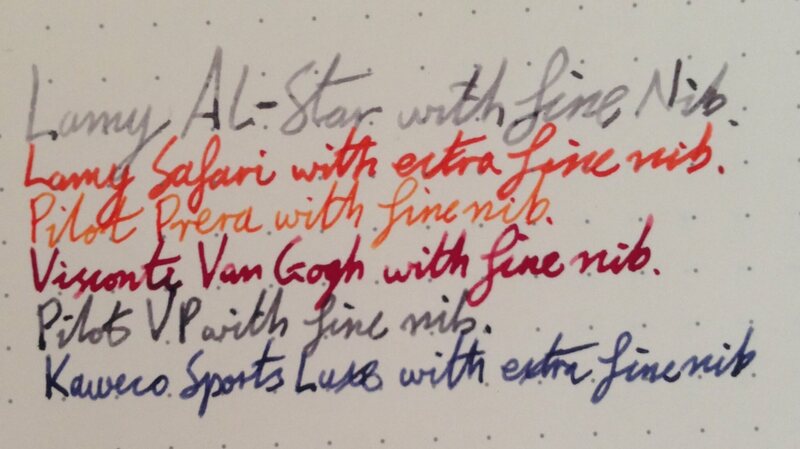 I would recommend getting a converter though as it will allow you to use your favourite inks.